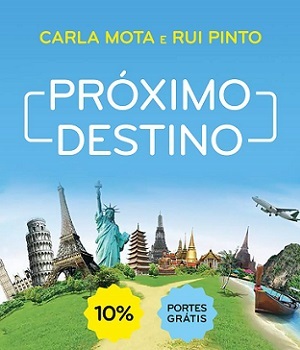 When I saw that Carla Mota and Rui Pinto had written a book, I had to run to see it. 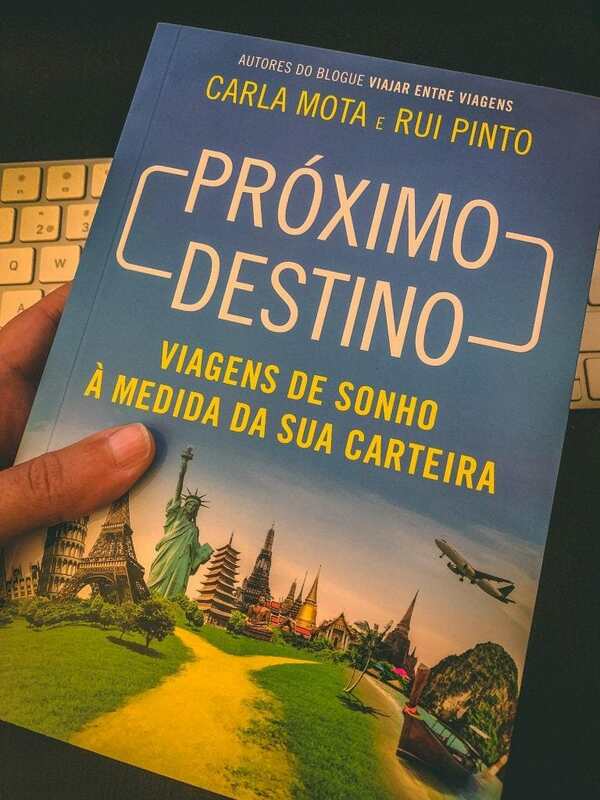 I was already reading Gonçalo Cadilhe’s “In The Beginning Was The Sea”, to do the review for the blog, but I put it on standby to be able to take a look at this “Next Destination”. 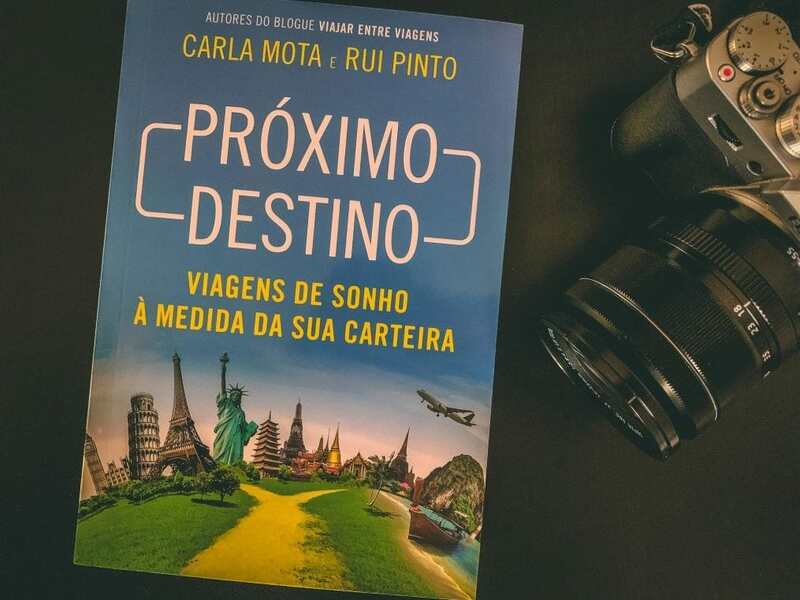 Carla and Rui, authors of the blog “Viajar Entre Viagens”, are two Portuguese travelers that I have been following for some time. The two run the world, always giving good tips and suggestions in the posts they write. In this “Next Destination” they present “dream trips tailored to your wallet”. And who doesn’t want to travel without spending too much money? “Next Destination” is not a book to be read at once. At least in my opinion. 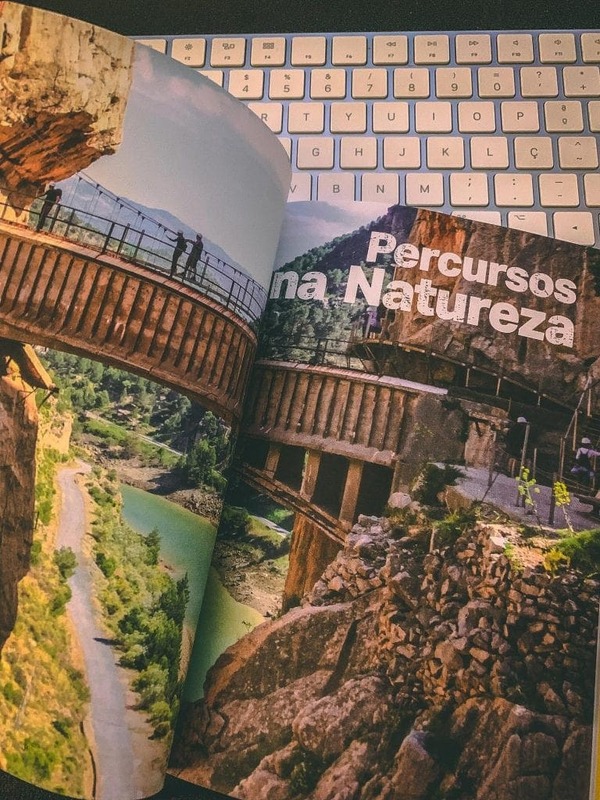 After all, who reads a travel guide from start to finish? And that’s what this is: a set of guides, outlined so you can do it with a fair budget, but also without losing sight of all main attractions. 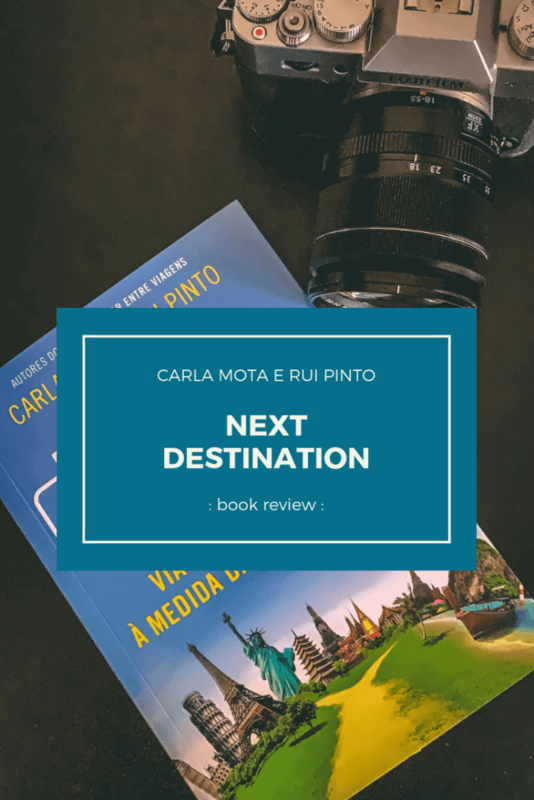 On one hand, most of the travel guides brought by Carla and Rui show us that several destinations are within reach, but there were others that, for me, felt like a bucket of cold water in the head. Japan and Patagonia, which are since the beginning on my bucket list, are in fact expensive places and I still have to fill many piggy banks to get there. On another hand, spending less than 300€ to visit Istanbul (Turkey) or 500€ for an extended weekend in Moscow (Russia) doesn’t seem too excessive. And this includes the price of airfares. Another great characteristic of this “Next Destination” is the notes left by the authors about housing and transportation in each of the places addressed. Most of the times this makes all the difference if you’re aiming to spend fewer bucks. And be sure to look for the small text boxes with some tips left throughout the book. Overall, I really enjoyed the writing and there was nothing that I can point out as something negative… maybe one thing that made me think was the abrupt way it ends. We’re reading about Zanzibar and … Bam! Blank sheet, back cover. I don’t know… maybe I would put a world map with all the book destinations ticked, or some empty pages with the title “now, plan your next destination!” But these are just my suggestions and the end, as it is, in no way harms to the book. 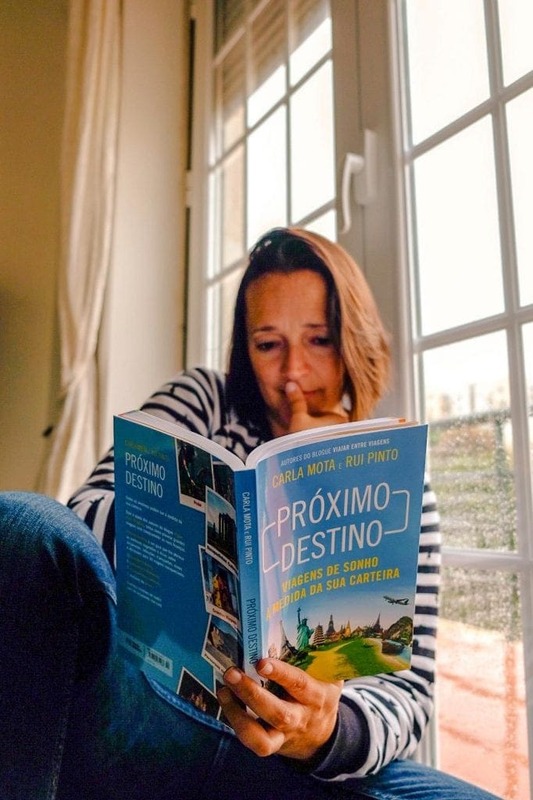 In short: it’s a very good book for those who are going to travel and need some tips or to inspire the reader for future trips. Moreover, as a journalist, I have to take my hat off to bloggers who still see value on paper. To tell you the truth, I’ve nothing to point out. Maybe I would have closed the book with something different. What did you think of this “Next Destination”? Is it a book you would like to read? What’s the destination with which you have always dreamed, but you have no money to get there? Share your opinion in the comments box below. Want some other reading suggestion? Take a look at “The Great Railway Bazaar” from Paul Theroux.